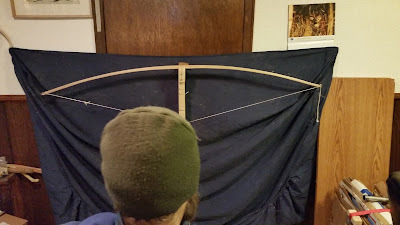 During yesterday's bow making session we finished the tips and began working on tillering the bow. We had to do the tips first so the bow could be fitted with a tillering string, which in this case is made from fast flight bowstring and knotted with a flemish twist on one end and a bowyer's knot (aka timber hitch) on the other end. Unfortunately the photos below also have the back of my head in the way. Oh well. You can see glimpses of my rather robust winter beard. At present the bow is currently pulling approx. 35 lbs at 14 inches or approx. 38 lbs at 15 inches. 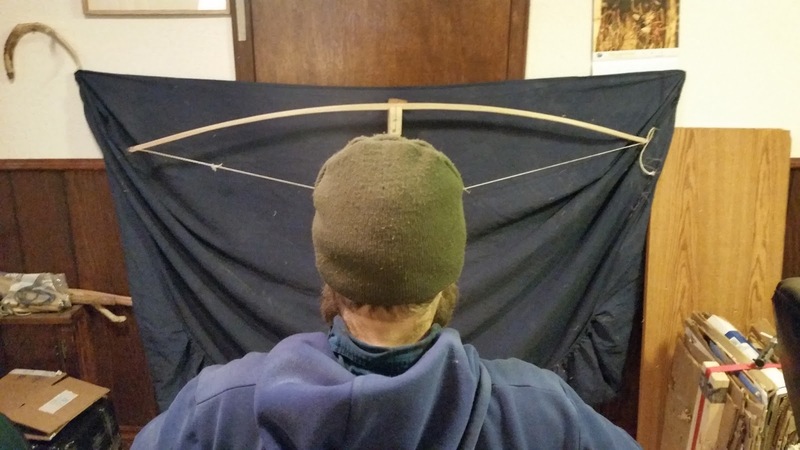 Our end goal is for it to be pulling 35 lbs at 28 inches (or 38 lbs at 29 inches). Thus tillering is a slow gradual process. 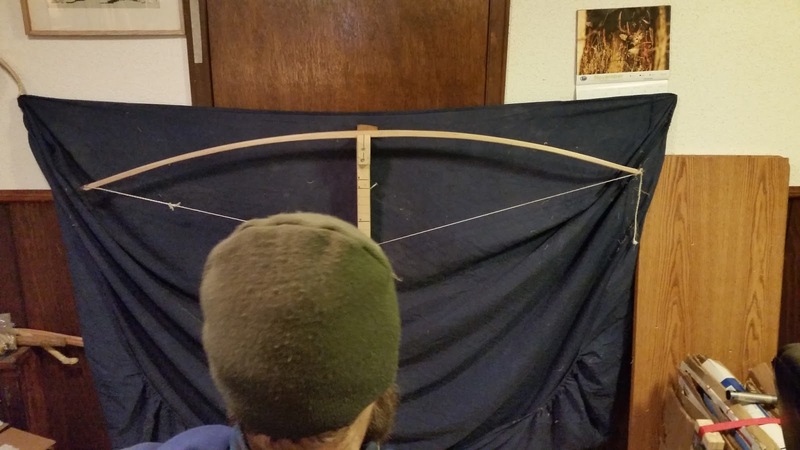 We start by tillering to 3 lbs over our desired draw weight at 10 inches, and work gradually on each stage on keeping the bow bending evenly on both sides and in all the locations where it should be bending (and bending the proper amount). Once this is done it is a matter of slowly removing layers of the belly wood (ignoring the tips) so that the length of the bow bends evenly, checking regularly to make sure there is no spots which are not bending evenly and fixing those spots. 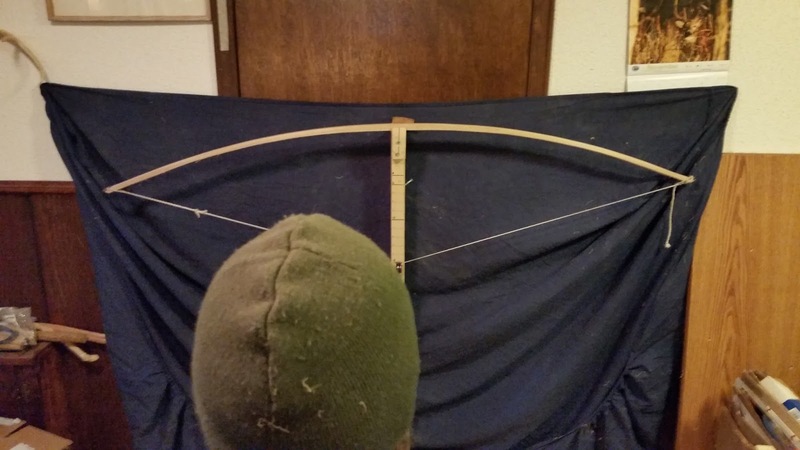 In the above example the flatbow-longbow I am making will have a bendy handle - which means when drawn back the handle also bends a tiny bit. When shot a bendy handle will have more "hand shock", but the bow also save on size and weight - which makes it faster. 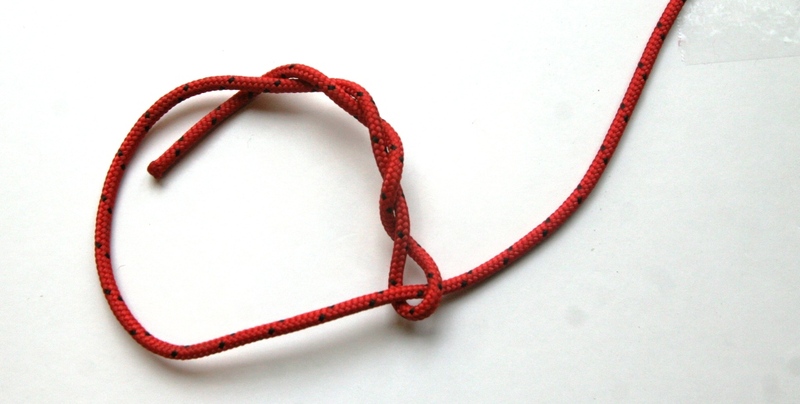 So there is a trade-off for speed in exchange for reduced hand comfort. Depending on how much bend there is the handle there will be more/less hand shock for the user. Want more? 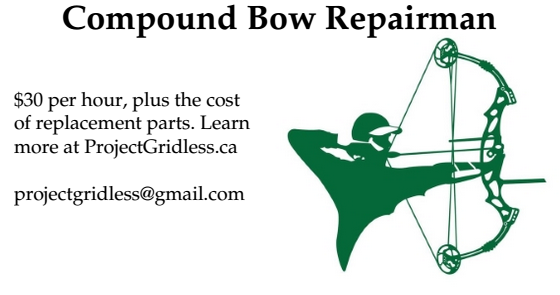 Subscribe to Project Gridless or bookmark Project Gridless for more bow making tips.